If you step outside on a clear night and look up at the sky, chances are you’ll see some stars. Not lots, but some. Most of us live in towns and cities where ambient light from houses, cars, streetlights and other human-made sources create light pollution. This light pollution drowns out light coming from the fainter stars, so we only see the brightest ones, such as those in Orion’s belt or the Plough. To really see the stars you need to get away from people! Heading out into a remote location on a clear night, away from the bright lights of the towns and cities reveals a spectacular sight. Let your eyes adjust to the dark and you’ll see countless stars, meteors, satellites, and the band of the Milky Way. Under really good conditions your eyes can even pick out the faint smudge of light that is the Andromeda galaxy, 2.5 million lightyears away. The International Dark-Sky Association maintains a list of Dark Sky Places which are ideal for such stargazing. Professional optical astronomical observatories are located in some of the most remote locations in the world, on tops of mountains or in high deserts, not only away from light pollution but above the clouds and much of the atmosphere. Light pollution is becoming more and more of a problem. A recent study found that 60% of Europeans and nearly 80% of North Americans live in locations where the Milky Way has become invisible due to light pollution. While this might not seem like too big a deal to many people, after all astronomers can just go to one of the dark locations mentioned above, there are other, perhaps more direct, consequences. Light pollution has been reported to negatively affect birds, mammals, and even humans. Not to mention that it seems like a waste of electricity to light up the skies instead of the ground! Luckily projects like the International Dark-Sky Association are campaigning to raise awareness of light pollution, and protect our remaining dark skies sites. You can help by participating in citizen science projects such as Globe at Night, which asks members of the public to report how many stars they can see in a particular constellation, in order to measure the light pollution where they are. Despite all of this, it’s still worth having a look up at the sky from wherever you are. Even from the middle of a city you can still see the brightest stars, as well as the Moon and some planets at the right time of the night/month/year. I’m yet to go somewhere where the light pollution is so bad that I couldn’t see any stars (as Bomb the music industry! suggest) and have successfully done public stargazing events from the centres of Portsmouth and Manchester. So get out and look up! The simple response to this lyric is that it can’t happen – you will never get all of the planets exactly lined up in the sky. That makes for a very short blog post though so let’s go into a bit more detail! There are two ways that you could think of the planets lining up. The first is them being in a straight line going out from the Sun. People tend to think of the solar system in this way because it’s how the planets are often shown in graphics like the one below. The problem with this picture though (besides the fact that the distances between the planets are far larger, and Pluto is included at the end!) is that the planets in fact all orbit in slightly different planes around the Sun; in other words each orbit is slightly tilted compared to the others. This means that at any one time, some of the planets will be higher up or lower down compared to the imaginary straight line drawn out from the Sun. If you flatten the solar system down to a 2D representation then I would assume that the planets will pretty much line up at some point in the future but I couldn’t easily find an online orrery that could shown me when! The second way to think about this is the planets being lined up in the sky as we see them from Earth. This is probably what No Doubt were going for in this song. We can often see planets in the night sky (as discussed in the Jimmy Eat World post) but which planets we see depends on where they are in their orbit compared to the Earth. For example, if a planet is on the other side to the Sun from us then we won’t see it. This means that it is very rare for all of the planets to be visible from Earth at the same time. According to these posts, the next time the planets will roughly be lined up will be 6th May 2492 as you can see in the below screenshot from stellarium; unfortunately I doubt any of us will be around to see it! 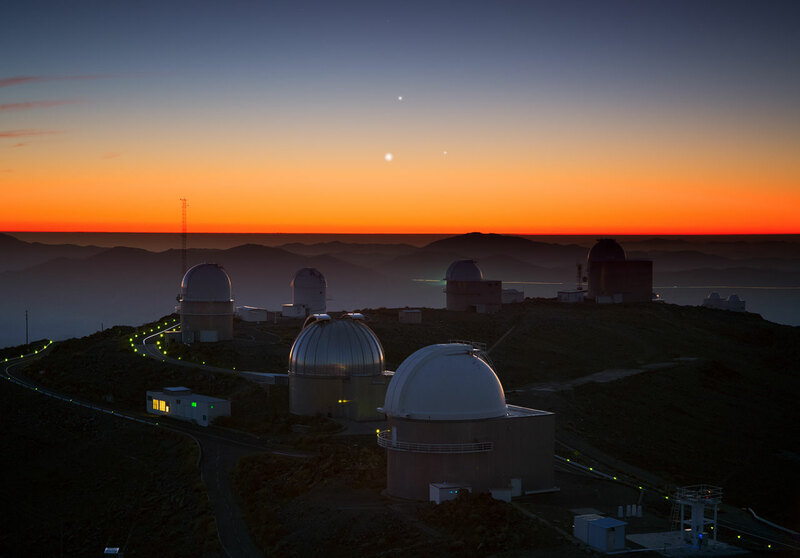 It is more common to have two or three planets in the sky at the same time, although because of the tilt of their orbits they often don’t appear in a straight line (e.g. see Mercury, Venus and Jupiter form a triangle in this post). However, occasionally the bright (naked-eye) planets do approximately line up; the last such alignment was in 2002 and a similar alignment will be visible in September 2040. If you want to see some planets tonight, currently (early January 2015) you can spot Mercury, Venus and Mars in the south-west just after sunset. Finally, every so often a hoax goes round that a planetary alignment (of the first kind) will cause people to float into the air due to the combined gravitational pull of the planets. This is of course nonsense, but thanks to a photoshopped tweet it has been doing the rounds again, with weightlessness scheduled for tomorrow (4th January 2015). Thankfully, Universe Today has done a great job of writing about this so I don’t have to! This lyric often gets stuck in my head and was the one that inspired this series of blog posts. This is because it’s often true – the first star you see may not be a star, but instead may be a planet! Full points to Jimmy Eat World for scientifically accurate lyrics! When the sky gets dark in the evening, the first stars you’ll see will be the brightest ones. There are several really bright stars in the night sky and which of these you’ll see depends on where you are and when you are. We see different stars from different parts of the world, and also at different times of the year as the Earth travels around the Sun. In the northern hemisphere, the brightest star in the night sky is Sirius, the dog star, in the constellation Canis Major. Assuming you’re looking for this first star as it gets dark, it has to be visible in the evening, so look out for Sirius in the winter and spring evenings by following the three stars of Orion’s belt down to the left. In the summer one of the brightest stars you’ll see is Arcturus in the constellation Bootes; find it by following the curve of the Plough down. As bright as these stars appear to us, they are often trumped by planets. In particular Venus, Mars and Jupiter can all outshine the brightest stars, and Venus is sometimes so bright that you can see it during the day. Astronomers use the magnitude system to quantify the brightness of stars (and other astronomical objects), where brighter objects have a lower magnitude, extending into the negative for the very brightest. Sirius has a magnitude of -1.46, whereas the faintest stars the human eye can see will have a magnitude of around 6. In comparison, Venus can be as bright as magnitude -4.5! So the next time you go out and look up at the stars, why not think of Jimmy Eat World and try to spot a planet instead! At the time of writing (December 2014), Jupiter in particular is starting to become more prominent in the (UK) night sky. By the end of December 2014, it’ll be rising at around 8pm and shining incredibly brightly at magnitude -2.4. If you want to know when it’s a good time to look for planets there are loads of night sky guides online, such as the one by Ian Morison on the Jodrell Bank website (or check it out in audio form on The Jodcast). 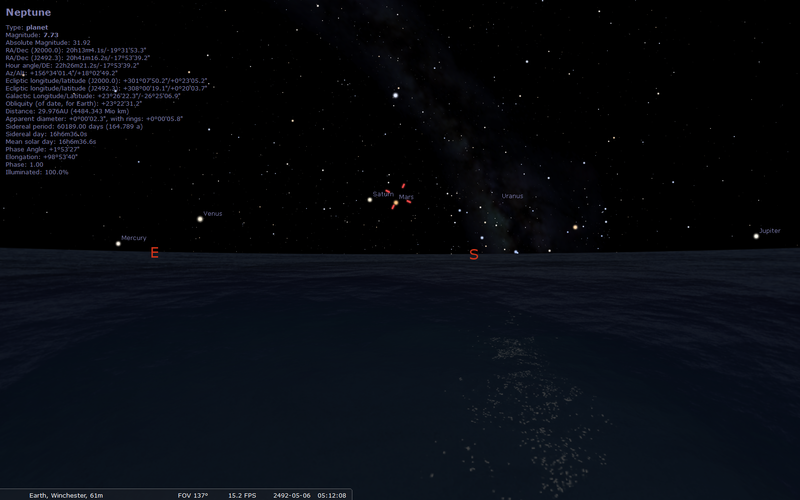 Alternatively you can download software like stellarium which will show you the night sky at any location and time in the world on your computer. As I’ve discussed previously, astronomy references pop up in songs quite a bit. I’d like to say that I have eclectic music tastes but I mostly listen to the pop-punk, emo and ska-punk that formed the soundtrack to my teenage years. Bands like Blink 182, New Found Glory, Jimmy Eat World and The Ataris write a lot of songs about relationships and it seems to me that a surprising number of the songs that I listen to have references to stars and the like (although it’s possible that I just notice them more now that I spend most of my time thinking about astronomy! ).